Buff'd Cosmetics and Haute Pink Designs... the month of May is a month of Give-Aways! Buff'd Cosmetics has teamed up with Haute Pink Designs to bring you two fabulous give-aways during the month of May! During the month of May, place a Buff'd Cosmetics order totalling $25.00 or more (before shipping & taxes) and be automatically entered to win a $100.00 custom swimsuit crafted by Haute Pink Designs. You choose the design, you choose the fabric - they stitch you a beautiful swimsuit custom made to your measurements. Each Haute Pink swimsuit is created in studio by designer, Laura Ashton. Quality and fit are always the focus of Haute Pink Designs. Be sure to like Haute Pink Designs and Laura Ashton on Facebook! During the month of May, sign up for Haute Pink Designs quarterly newsletter and be entered to win a Buff'd Cosmetics gift basket worth over $90.00. 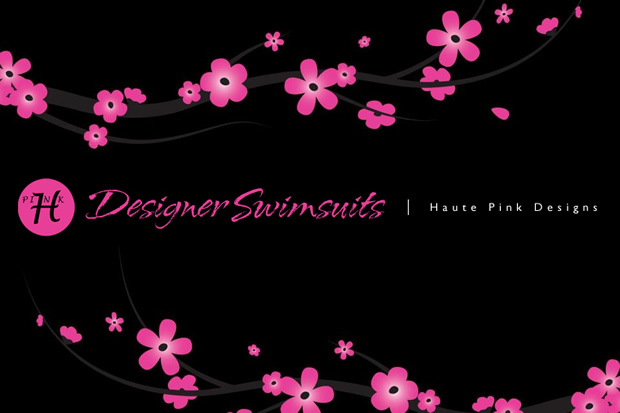 Purchase a custom Haute Pink Designs swimsuit during May and get an additional three entries into the draw! 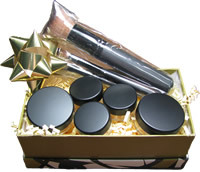 Included in the gift basket are two blush shades - Tricky in Satin Pearl and Clementine in Velvet Matte - three eye shadow shades - Plaster in Satin Pearl, Void in Satin Pearl and Magnetic in Satin Pearl - as well as the Jumbo Flat Top, Large All-Over and Pointed Sculptor brushes from our Brown Faux Brush Collection. Be sure to like Buff'd Cosmetics on Facebook!